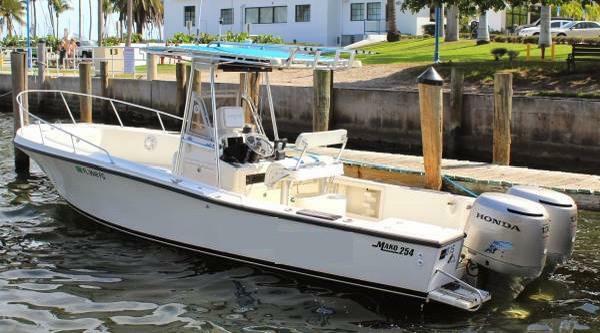 1984 Mako 254 Center Console If you are looking for a super reliable, sea-worthy, turn-key, tricked out boat with an old school ride and updated everything else, then this is the boat for you. This classic Mako 254 hull has had the transom glassed in, new rub rail added, and a complete Awl-Grip paint job -inside and out. This classic refit is completed with the addition of twin 2014 150 Mercury 4-stroke outboard motors with 254 hours each. 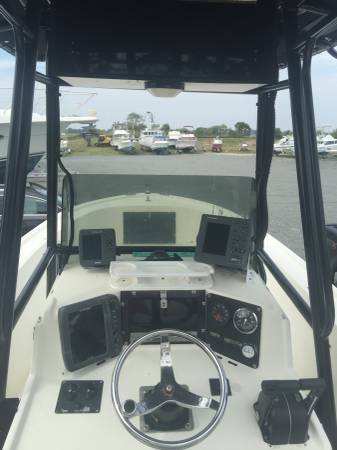 This boat has also been fitted with a 2016 Garmin Package including: Garmin 7616 GPS/Bottom Machine, Garmin Reaction Autopilot, Garmin 52 Weather, Fusion Satellite Radio, Simrad VHF radio (x2). Other recent additions include new vinyl upholstery and a brand new custom stern tackle center. This boat also sits on a 2014 Coastline Aluminum triple axle trailer with custom wheels. Call today to see this boat for yourself...DON'T LET THIS ONE GET AWAY! 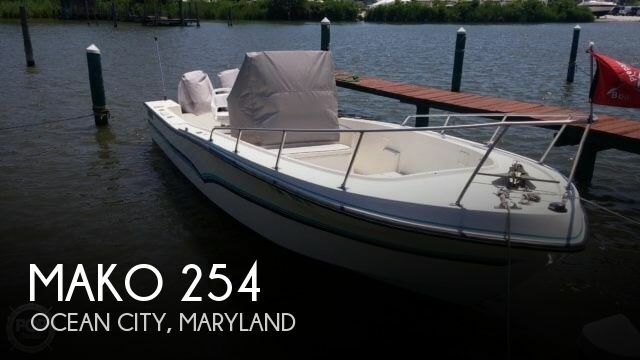 1986 Mako 254 Center Console MAKO 254 BEST 1986 MAKO 254 ON THE MARKET This is hands down the best 86 Mako out there. 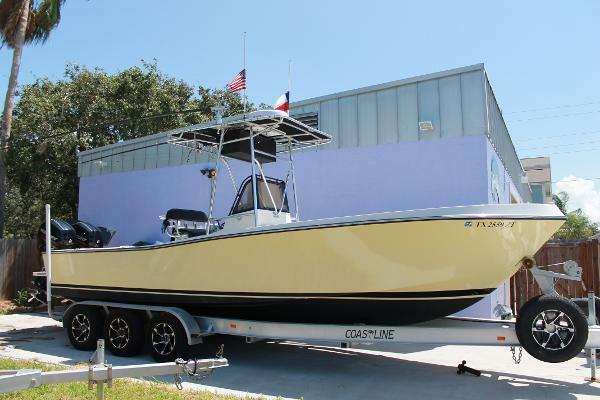 Boat is dry docked * Twin Honda BF 130's --- Always Maintained ( 1000 Hours ) * Lowrance HDS 10 Inch in Nav Pod on helm * Airmar 1000 Watt thru hull transducer * Live Well ( 30 Gallon New pumps ) * $3000 Custom 8 speaker Stereo with dual 10 inch subs 2 amps ( Bass knob on helm ) * All teak replaced with starboard * All new rigging ( Wires and fuses removed and replaced with switches ) * New 150 gallon fuel tank with rhino guard * Custom Padding * spreader lights, work lights, courtesy lights * custom pluming * Bimini top for bow ( Not Shown in pics ) * VHF Radio / 12 volt acc plugs ( 2 ) * New power switches ( 2 ) * Extra rod holders on gunnels and bow * Dual plugs on stern for electric reels *30 gallon fresh water wash down * raw water wash down * 2 Dual level bilge pumps * LOTS LOTS MORE FINANCING AVAILABLE!! !